The mission of this church is for the advancement of the kingdom of Jesus Christ. It seeks to attain this through the public worship of God, the preaching of the Gospel, consistent Christian living by its members, personal evangelism, missionary endeavor and Christian education. The Baptist Church follows in the New Testament Church tradition. We believe in the full inspiration of the Holy Scripture and that they are sufficient for the present-day Church: to inspire it, nurture it, guide it, correct it, secure it, enlighten it, to grow it, and to comfort it. The Baptist Church believes in the fundamental doctrines (teaching) of the Bible, and that these doctrines must be taught to the whole church membership. And, we believe that each member of the Baptist Church must know and understand that which Baptist believe and take a stand upon those biblical doctrines. The Baptist Church stands for an enlightened membership because an enlightened membership is a strong membership, and will be a productive membership. 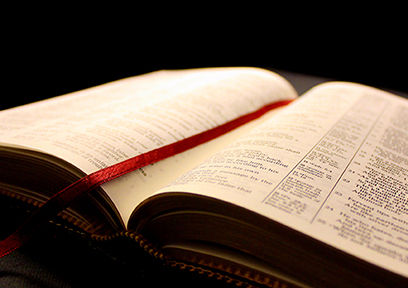 THE BIBLE: The divine plenary inspiration of the canonical books of the Old and New Testaments as originally given are infallible, authoritative and free from error in all matters with which the scriptures deal. SPECIAL CREATION: Through divine fiat, God brought the world and the universe withal of its systems and kinds of living organisms into existence. HISTORICITY: The historical and biblical record of primeval time which includes Adam and Eve’s literal fall, the resultant sin and curse entering the world, the flood and the diverse nations evolving from language difficulties at the Tower of Babel are truthful accounts of the status of man following the fall. THE TRINITY: The Trinity is the triune Godhead existing as one, yet as three persons – Father, Son and Holy Spirit. The Holy Spirit and the Son share the same nature with the Father who is eternal, transcendent, sovereign Lord of the universe, He is worthy of adoration, praise and obedience. THE FATHER: God the Father is the first person of the Holy Trinity, is eternal, Creator of all things, unchangeable in all His attributes and sovereign Lord of the universe. He is worth of adoration, praise and obedience. THE SON: Jesus Christ is full God and was fully man becoming one sinless perfect divine human person through the incarnation, of the immaculate conception and virgin birth. THE HOLY SPIRIT: The Holy Spirit is the third person of the Godhead who convicts, regenerates, indwells, seals, guides and empowers. The Holy Spirit gives spiritual gifts and fills those persons who yield to Him and enables them to bear much fruit. REDEMPTION: The substitutionary, literal, physical death of Jesus Christ on the cross for the sin of the world brought hope to the believer by His burial, resurrection and ascension into heaven. SALVATION: Salvation from sin comes from God by grace and is received by personal faith in the atoning death and resurrection of Jesus Christ. SATAN: Satan, called the devil or Lucifer, is a malevolent being who is a deceiver, accuser, tempter and destroyer. LAST THINGS: The personal bodily return of Jesus Christ to the earth to judge and purge sin and to establish His kingdom will consummate all His purposes in the works of creation, redemption, rewards and punishments. THE CHURCH: The Church is a fellowship of believers, united together by the Holy Spirit into on redeemed body of Christ, the Church is to build the kingdom by strengthening the saints, winning the unredeemed through evangelism, and serving for the benefit of the oppressed and disadvantaged. The Sunday School Ministry is dedicated to providing teaching and training in the Bible in order to educate and lead the children and youth to receive and acknowledge Jesus Christ as their personal Lord and Savior and live a faithful and purposeful life that uplifts and glorifies God. The Deacons Ministry works closely with the Pastor in spiritual aspects of the church; assisting the Pastor with the serving of Holy Communion; visiting the sick and shut-in; comforting the bereaved and assisting with funeral and home going services; assisting with baptisms and the orientation and mentorship of new members and with existing members. The Scholarship Ministry purpose is to act as the catalyst and mechanism to provide information and financial support to the members of our Church through scholarships to be used to secure a Bachelor’s Degree from an institution of higher learning and to recognize academic excellence through degree completion. The Youth Ministry is dedicated to providing teaching, training and leadership to our youth about our Lord and Savior. Their purpose is to help the youth s grow in their faith; fellowship with each other; worship, serve one and magnify God in everything that we do. The Christian Board of Education’s purpose is to ensure each member is equipped to understand and communicate to others the work of God the Father, God the Son and God the Holy Spirit to bring salvation to others. The Board provides opportunities and leadership on the educational curriculum and educational programs designed to promote the Church’s dedication to teaching, training and educating its members and others. They are also dedicated to preparing God’s people for the work of Christian ministry, by promoting a continuous development and learning of Christian life. The Trustees Ministry is responsible for the custody of all property of the Church as well as the management of the Church’s financial and human resources or personnel matters/affairs. Their duties include, but are not limited, to the maintenance of church, church property, rental property, buildings and grounds, finances, stewardship and human resources/personnel. The Music Ministry is dedicated to helping create and foster an atmosphere for worship by providing a vehicle for expression in song of the Word of God. The Music Ministry’s purpose is to exalt God through song and praise; facilitate congregational singing during worship services; provides a means for the congregation to encourage and empower God’s people through a diverse selection of music and to connect the congregation to the musical history and traditions of the church.